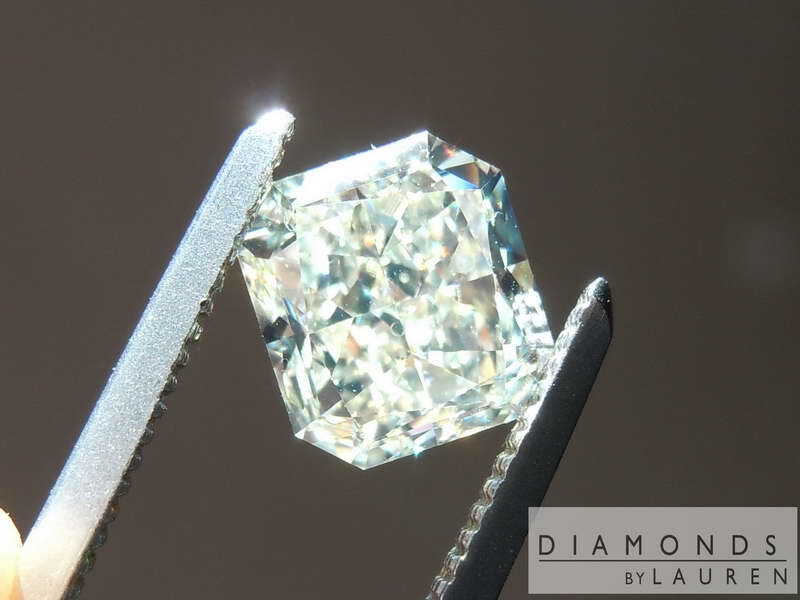 We normally don't offer yellow stones with Medium or Strong Blue Fluorescence. 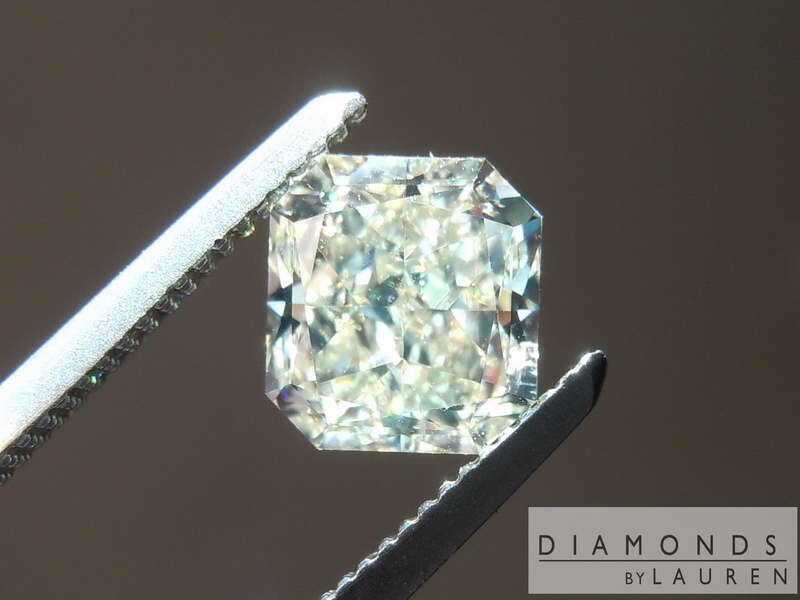 We make exceptions when the stone is exceptional. Also, if the fluorescence is not a negative characteristic in the specific example. Radiant cuts are harder to find lately, and this is a doozy. 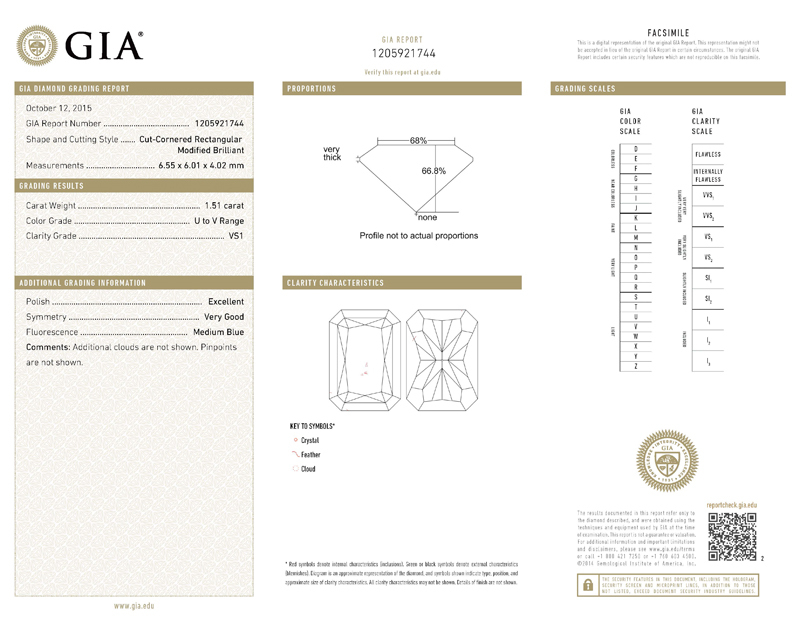 This is a truly well cut diamond with very nice color. Some people love the light -faint yellow of U-V color. I speak to quite a few people who actually prefer it to more intense yellow. VS1 clarity with a great price - there you go! We can make an awesome ring for it!